Why Embryo Donation and Not Embryo Adoption? While the terms "Embryo Adoption" and "Embryo Donation" are often used interchangeably on the Internet, there are real differences between the two. This is not simply a case of splitting hairs; using the correct terminology has tremendous social, ethical and legal implications. Many businesses uses the term “Embryo Adoption” in their business title and/or literature while other facilities, such as Embryo Donation International, have resisted the use of “Embryo Adoption.” The goal of this article is to explain why. Cryopreserved Embryos: For purposes of this article, Cryopreserved Embryos (“embryos”) are the product of a human egg and human sperm combined through the process called In Vitro Fertilization (IVF). These embryos aren not initially transferred to a woman’s uterus but are frozen in liquid nitrogen within six days of fertilization. These embryos are the topic of this article. Who Owns The Cryopreserved Embryos? They are not owned by the laboratory that combined the eggs and sperm. The parents from whom the genetic material came from own them. Embryos are most commonly treated as property in the legal system. The “parents” of these embryos ultimately decide their outcome. What Can Happen to the Cryopreserved Embryos? These embryos are most often used to have additional children but, alternately, may be discarded (not all facilities allow this option), donated to science (laboratory work or human embryonic stem cell research) or given (donated) to patients in need. Does Donation Mean Free or can the Donating Parents be Reimbursed? Of the few states that allow for embryo donation, even fewer allow for reimbursement. Many states have laws against paying those that donate their embryos. Florida, for example, allows for the reimbursement of some of the expenses involved in the creation of the embryos including, but not necessarily limited to, cryopreservation fees. (6) It is important to understand that the simple act of appropriate reimbursement doesn’t negate the concept of donation. Examples abound including sperm, egg and blood plasma donation where the participant is reimbursed and yet the act is still considered a donation. Who Regulates Adoption and Embryos? Every state has an adoption statute that deal with changing or establishing parentage of an existing child. Adoptions can only be granted by the Court following the birth of a child. 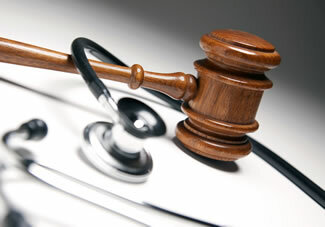 Whereas the medical process of Embryo Donation is regulated by the Food and Drug Administration. The Embryo Donation legal procedure does not involve the courts and is generally managed through private contracts. (5) This is a significant legal difference between Embryo Adoption and Embryo Donation. What are the Implications of Using the Term Embryo Adoption? By using the term “Embryo Adoption”, there is an attempt to afford full moral, ethical and, most importantly, legal rights of personhood to the embryo itself. It is well known that this country is divided with respect to the morality of abortion. If the embryo were given full rights of personhood, this would inevitably result in the outlawing of legal abortion. Another negative consequence of using the term "Embryo Adoption" is in the rare event of lab accidents or when embryo thawing is unsuccessful and the embryos cannot be recovered. If embryos were given the full rights of personhood, it is possible the embryologist and/or IVF facility would be held accountable for manslaughter. There is not a program in this country that could stay open with this type of threat hanging over them. In yet another interesting twist, if the embryos were given personhood and if one applied the thirteenth Amendment abolishing slavery, ownership of an embryo could be prohibited. Adoption implies personhood and personhood demands autonomy. While parents have parental rights, they do not own their children. It is probable that conferring personhood to embryos would result in tremendous problems with the legal contracts involving embryos. Contracts stating ownership and transfer of the embryos could then be in clear violation of the constitution. This would not be the case in an Embryo Donation. As in many regular adoption agencies, Embryo Adoption agencies usually require payment of substantial fees by recipient parents of embryos (“middle-man” or “finders” fees). Those entities who help arrange Embryo Donations, such as Embryo Donation International, do not routinely charge these types of fees. Who Screens the Recipients of the Embryos? Those favoring the use of Embryo Adoption feel that it is more appropriate to screen recipient parents by using home studies and psychological screening in addition to medical testing. Paradoxically, there is absolutely no screening done for couples that conceive naturally. Trying to figure out who will make good or poor parents is extraordinarily difficult. The mere fact that embryo recipients are going to great length to have a child immediately places them in a category which is certainly more desirable than those that conceive by accident. That is not to say that all infertility patients will make great parents. It is to state that those that go to great lengths to have and hold a child may be more likely to cherish their gifts. Physicians have been screening patients for sperm donation, egg donation and surrogacy for decades making certain that the procedure was medically indicated. Screening those accepting embryos should be no different. Embryo Donation must be medically indicated and only trained Reproductive Endocrinologists can ultimately make the decision about the medical appropriateness of this option. 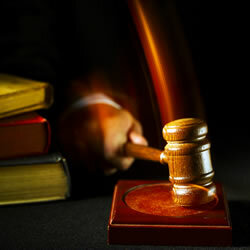 Thereafter, the appropriate legal paperwork (consents and contracts) would be utilized to complete the process. Can Embryo Donation Also Include Some of the Steps Commonly Reserved for Adoption? The anonymous Embryo Donation is clearly covered in the Florida statutes and is the most common form of Embryo Donation. Approved Embryo Donation would maintain anonymity while providing the donor with a slightly increased level of screening of the recipients. If the screening is too involved, however, the embryos will not be chosen by any recipients. The third option of Open Embryo Donation would require the donors and recipients to know each other and allow for the heightened level of screening of the recipients. This is the least common form of Embryo Donation. It is possible that Open Embryo Donation may not be fully covered under the existing state statutes so care must be taken when choosing this alternative and legal contracts drafted. By offering these three options and yet using the correct terminology, we do not open up the donors and recipients to the potential scrutiny of the courts when the phrase “Embryo Adoption” is used. The embryo is due a greater level of respect than other human tissues because of its potential to become a person and because of its significant meaning for many people. However, to describe an embryo as a person, which has not yet developed any features we normally and legally ascribe to personhood, is a dangerous decision. The slippery slope of using the term Embryo Adoption is indeed quite steep and could have ramifications well beyond the IVF world involving legal, ethical and judicial implications. The term Embryo Donation is not only correct but better protects the embryo recipient and those facilities that have dedicated their lives to building families. (1): Black’s Law Dictionary. 9th ed. Weslaw, Eagen, MN, 2009. (3): ASRM Ethics Committee Report. American Society for Reproductive Medicine: Defining Embryo Donation. Fertility Sterility, 2009;92(6):1818-9. (4): Ethics Committee of the American Society for Reproductive Medicine. The moral and legal status of the preembryo. Fertil Steril 1994;62:32S-4S. (5): United States Food and Drug Administration. Eligibility determination for donors of human cells, tissues, and cellular and tissue-based products; final rule and notice. Do These Donated Embryos Make the Grade? 10/18/2016: Dr. Sweet presents new research on cryopreserved embryo abandonment. Copyright © 2011, Embryo Donation International, a division of Specialists In Reproductive Medicine & Surgery, P.A. All rights reserved.